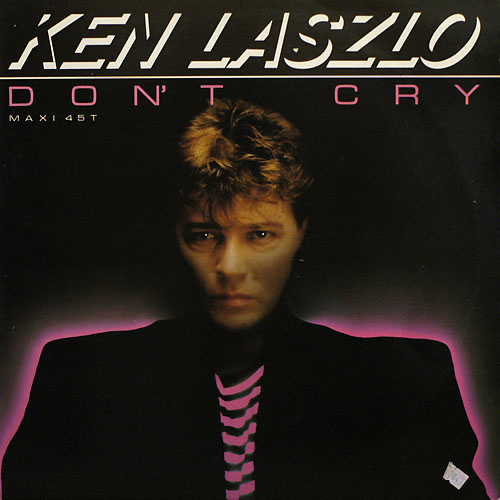 Ken Laszlo got a major breakthrough with his first release, Hey Hey Guy, in 1984 and then continued to spoil the fans with several hits in the 80’s. The Album from 1987, which also contained hits as Tonight, Don’t Cry, Glasses Man and 1-2-3-4-5-6-7-8, is one of the most successful Italo Disco albums in history and sold a million copies worldwide. Ken Laszlo, or Gianni Coraini which is his real name, also provided vocals for several other Italo projects such as Ricky Maltese, Ric Fellini, Jaco and so on. He has been constantly active since the 80’s, under his own name or in collaboration with other artists, and this year he sang a duet with Swedish band ItaLove on their track Disco Queen. Ken Laszlo has performed live in Europe on several occasions the last years, so be prepared for an entertaining show filled with hits. We are eagerly looking forward for his live show at Sthlm Italo Disco Party May 15th-16th 2015! Don’t miss it! This entry was posted in Artists, Blog post and tagged 80s, Italo, Ken Laszlo on November 28, 2014 by admin.